This Product Order Supplies the Following BOM (Less Foundation and Installation) in accordance for Use as a Self-Supporting 55 Foot ROHN 55G Tower with EPA's (Effective Projected Area) Ratings for 70, 80 or 90 MPH (No Ice). 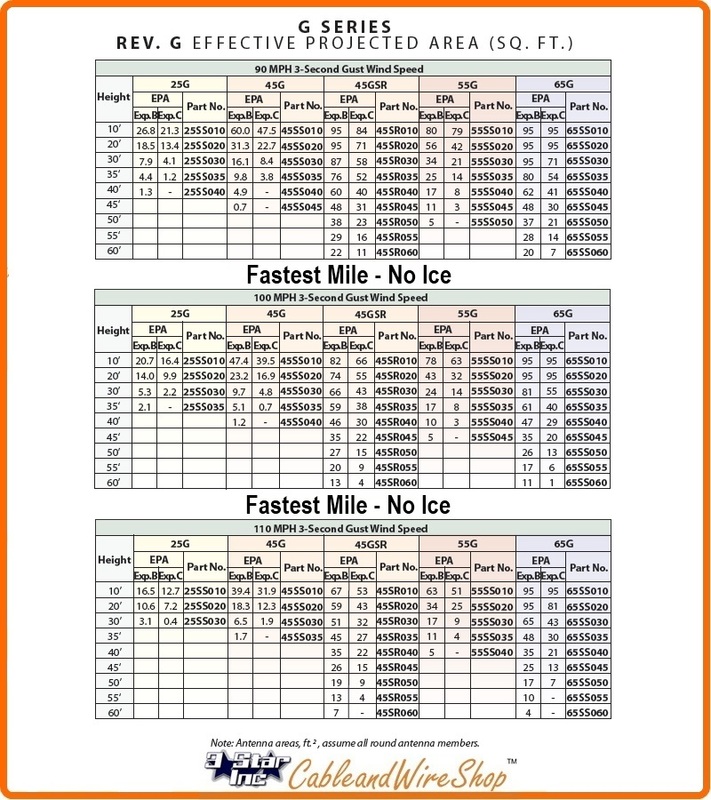 Refer to Larger Image, Brochure or Footer Links at the Bottom of the Page below for Ice Loading and EPA Information. This 55G Tower is to be used in a Self-Supporting Configuration according to Use and Foundation Specifications in the ROHN Catalog. This Height Configuration relies on a 55G Embedded half way (5') in a Concrete Foundation Specified by Engineering. As a Free-Standing, Self-Supporting Structure, a 70 MPH rated 55G Tower can rise to a maximum of 60 feet. Consult ROHN 55G Catalog Links of the Footer Section at Bottom of Page for more ROHN 55G Tower Configuration, Foundation and Grounding Detail Information.